I have talked about Feltman Brothers before on the blog and I just love the brand so much. 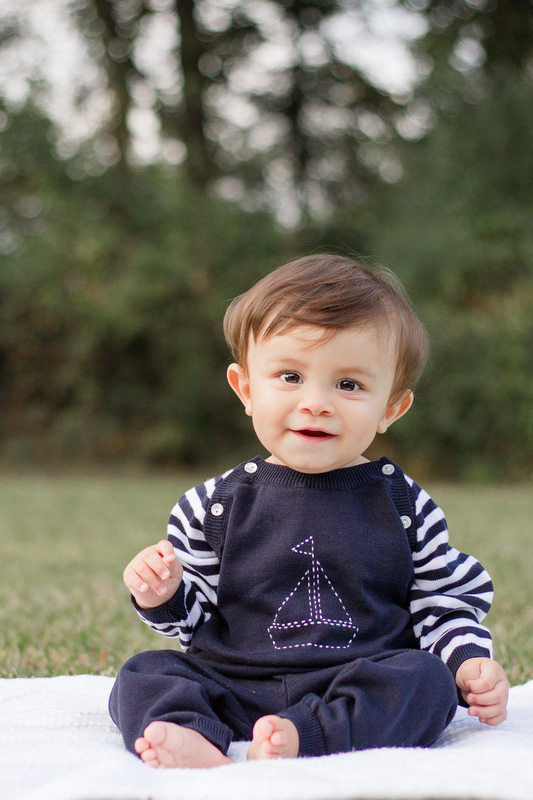 It is so nice to have traditional almost vintage look clothing for babies and kids. Many of the brands that make clothing for kids and even newborn babies make them with crazy captions, lots of the styles are not even comfortable for the baby, let alone appropriate for the child to wear. I have found at Feltman Brothers that they have clothes that babies can move in and love to look great in. I recently received this cotton knit longall with a white hand stitched sailboat on the yolk, and it is adorable. The knit is a nice weight not too thick and not too thin, it is the perfect weight to have a blanket covering still or a t-shirt on underneath. The collar is perfectly round and has amazing mother of pearl buttons that come down on both sides. These are the details that make this outfit perfect as a gift for a new baby or for a first picture outfit perhaps. The attention was given not only to the style but to the comfort of the baby and it really shows in this one piece set. If you have a baby boy this is a great outfit. Feltman Brothers also has amazing girls clothes and even unisex outfits. These are the kinds of outfits that you can get with your first baby and continue to use on the rest of the families babies. Oh I just adore their clothing!! co classic, clean and adorable!! You can just tell quality and care goes into it! They have beautiful clothes. I like that there are plenty for boys also. They have beautiful clothes. What I really like is they have plenty of boy styles also.